Car insurance is very important. There’s a lot that can go wrong when you take your car out for a drive. It is certainly a calculated risk. Having insurance can help protect you in situations where the worst happens. However, not every car insurance policy is equal. Some are better than others and may do a better job suiting your individualized needs. Don’t be afraid to switch plans or carriers if you can find a better deal. Below are five signs it may be time to change your car insurance. One reason to change your insurance coverage is if your rates keep going up. This is especially the case if you did nothing in particular to cause the rate increases. Some companies simply raise rates based on what demographics you belong too, and that can seem unfair. See if you can get an insurance quote for lower rates with the same kind of coverage elsewhere. The most important thing about your car insurance is the actual coverage. However, customer service should also be important. Poor customer service from indignant insurance representatives can also be a telling sign that you may have trouble filing a claim later on. The only reason to pay insurance premiums is the promise that you’ll be able to file a claim when something goes wrong. There are some shady insurance companies out there that try to make the process of filing a claim as difficult as possible. If that is the case with your insurer, you should find better options. 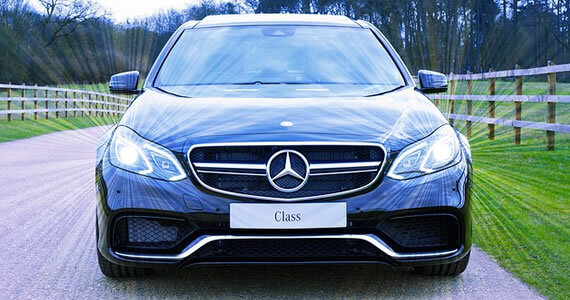 If you are looking for a new car to buy, you should also consider looking for a new company to insure it with. Sticking with your old insurer even after you change vehicles may not be wise. You may end up missing many of the discounts you would get with a new insurer. Insurance companies charge drivers different rates based on certain criteria. If you are moving, getting married or your teen starts driving, you may see rate increases. Young men pay the most for car insurance. Look for quotes from other companies to see if you can avoid these increases. It’s important to have car insurance. However, you shouldn’t be satisfied with lousy coverage or poor customer service. The auto insurance market is large. Look around until you can find the best deal for the best coverage. Getting into an accident can be a life-changing situation. Despite the best precautions anyone can be the victim of an automotive accident. Even if you are the best driver in the world you cannot control the actions of every driver on the road. There are a few things that can make bouncing back from a car accident easier. After a good doctor, the next most important factor is your auto insurance. However, not all auto insurance policies are equal. There are some insurers and policies that offer better and more comprehensive coverage than others. Here are a few ways for you to know that you have good auto insurance. The last thing anyone wants after an auto accident is a hassle. Some insurers make the process of filing a claim odious and unpleasant. This compounds the hurt caused by the accident and just doesn’t feel good as a customer. On the flip side, a good auto insurance like http://www.unitedsecurityagency.com will hold your hand through the entire process and do everything they can to make things easier on you. Life does not only take place during business hours. You can get into an accident 25/7 365 days a year. This means it is imperative that your auto insurance agent or claims department be available 24 hours a day. They will be there to give you guidance on how to deal with the police officer, the tow truck driver and the other driver or property owner. In many parts of the United States, it is impossible to get around without a car. Even though you have a car accident you will still have your normal duties and responsibilities. Whether that is taking the kids to school or getting to work on time you will need a way to get around. A good auto insurance company will help immediately provide you with a rental so you can get around. The initial auto insurance payout should be quick as well- you don’t want to drive a rental car forever. The aftermath of a serious auto accident is not a place anyone wants to find themselves. Since we live in an imperfect world, a bit of planning ahead will help make a troubling time like right after an accident much easier. Good auto insurance will be a pleasure to work with, rather than a nightmare. Very few things in the world are as exciting as being handed the keys to a beautiful classic car. In addition to being fun projects, older cars can also be great investments as long as you keep them well-maintained. Here are a few tips and tricks that will help you protect your classic vehicle for many years to come. When it comes to cleaning cars, it is difficult to separate fact from fiction. As a general rule, you should only use high-quality products that were specifically made to clean vehicles. Using dish detergent or an old rag to clean your car could strip away the protective sealant and scratch the underlying paint. 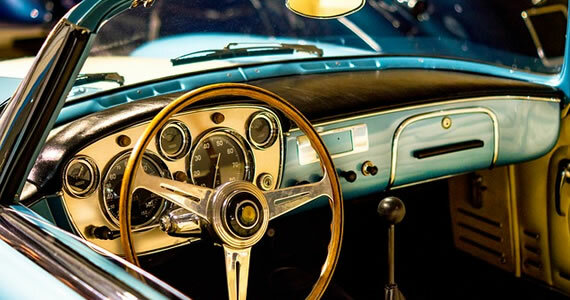 Many classic car owners find it easier to hire an auto detailing specialist a few times a year. One of the biggest mistakes that you can make with an older vehicle is letting it sit without any maintenance for more than a few weeks. Even if you aren’t regularly using the car, you should still have it serviced by a professional mechanic once every two or three months. You also need to drive it a few times a month to lubricate the motor, rotate the tires, and blow out any dust that has settled in the engine compartment. Unless you have quite a bit of experience working on vehicles, you should leave all major projects to a professional mechanic. Older vehicles are notoriously easy to work on, but you need to spend a few months familiarizing yourself with a car or truck before you work on it. Maintaining a relationship with a reputable mechanic is also going to make your life much easier when the vehicle breaks down or you need to order a custom part. An auto accident can happen in the blink of an eye, and that is why you need to contact an insurance provider, such as Marine Agency, to discuss your coverage options. Generic auto insurance might not be a good idea for older vehicles that actually go up in value every year. With a comprehensive classic car insurance policy, you won’t have to pay out of pocket for expensive parts and repairs. Protecting and maintaining a classic car takes a lot of work, but the payoff is almost always worth it. As long as you remain proactive and don’t ignore your car for months, you should be able to avoid some of the most common problems that classic car owners run into. Being in an auto accident can certainly be an extremely frightening experience. Even still, you need to keep your wits about you directly after a collision. What you do next can determine if your finances or even your health will take as much damage as your vehicle. Below are the first four things you should do directly after a collision. If there is any possibility that anyone in either vehicle involved in the crash was injured, the first thing you should do before anything else is call for an ambulance. According to IIHS.org, there are over 30,000 vehicle related deaths a year. However, with proper medical attention, lives can be saved. You should also keep in mind that the seriousness of some injures such as whiplash may not be immediately apparent. Play it safe and call 9-1-1 if needed. Another thing you must absolutely do is call the police. If you don’t call the police, you will never obtain a police report regarding the accident. According to the DMV, you should be able to obtain the police report a week after the accident. 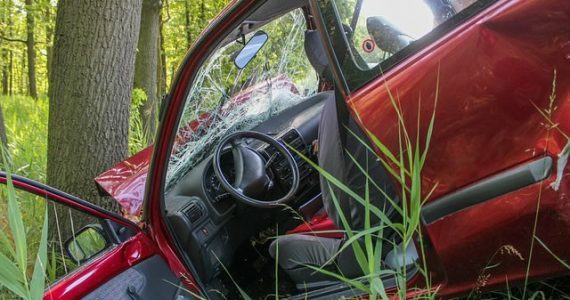 This will insure that the other party involved in the accident won’t be able to lie or shift blame if the details of the accident are disputed. To make sure you aren’t held liable for any damage, you must swap insurance information with the other driver. After doing so, call your insurance company immediately. 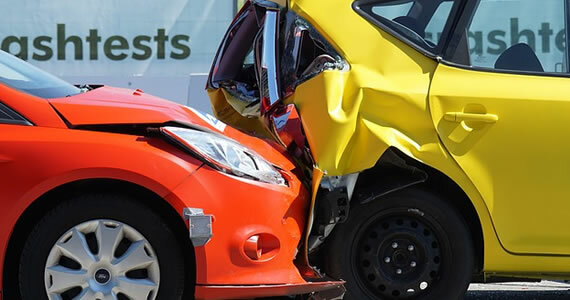 If they aren’t made aware of the crash right away and aren’t able to contact the other driver’s insurance company to work out the details, there is a possibility you may be accountable for your own repair costs, medical costs and other costs related to the accident. Sometimes accidents result in lawsuits. This is for good reason too. Insurance may refuse to cover all the expenses related to an accident. The other driver may not have insurance and may have been acting negligently. In some cases car insurance may not be able to cover things like lost wages and pain and suffering, that is why it’s a good idea to seek help from an attorney such as those at Snyder & Wenner, P.C. . Sometimes, compensation for these has to be obtained in court. Being involved in an accident can be very stressful. Even so, you must take the correct actions after an accident. Not doing so can have great ramifications for your health as well as your financial livelihood. Auto insurance is a necessity for drivers, because every state in the U.S. requires it and because it offers important protections that all drivers can benefit from. This doesn’t mean you can’t still try to save money when shopping for a policy that offers you sufficient, dependable protection. Thankfully, it’s both legal and smart to save money on auto insurance, and here are three ideas to help you accomplish that. Even if you haven’t had any accidents, your driving record plays a huge role in the auto insurance rates you’re quoted. If you’ve had a few speeding tickets, been cited for running stop signs or going through red lights, insurance companies are going to see you as a high risk customer and will charge you higher rates. This isn’t a label that has to stick to you for life, though. You can make an effort to follow safe driving standards and make sure you go a year or more with no citations and get your rates reconsidered. The more policies you have through one insurer, the cheaper the overall bundle is likely to be. 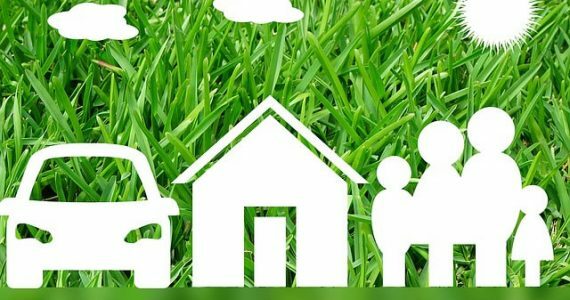 Whether you need renters insurance, home insurance, or life insurance along with your car insurance, getting all policies issued by the same company can result in significant discounts on not just car insurance, but all the policies issued by that carrier. Bundling like this can really help you save a lot of money in the long run. If you were looking for a home to buy, you probably wouldn’t purchase the very first one you visited without at least taking a look at several others. You should also not purchase the first auto insurance policy you get a price quote for without comparing that quote to the quotes of other companies. There are many different agencies and online services that can help you compare premium quotes to make sure you get the best deal for the most comprehensive coverage. For many drivers with busy lives and specialized insurance coverage needs, the best option is to try getting good quality insurance from somewhere like Great Northern Insurance Agency. When you work with an agency like this, you gain the benefit of a dedicated, knowledgeable staff that can save you time and help steer you toward discounts. Instead of trying to accomplish your insurance shopping alone, call on great agents and agencies that you know will give the service you deserve.